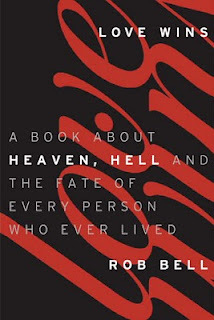 There has been a bit of controversy surrounding Rob Bell’s new book I playfully like to call “I’m a Universalist and there is no Hell” (I like to call it that because evidently that should have been the title based off the reaction by a particular group that made all kinds of judgments about it prior to it’s actual release). However, the actual title is Love Wins. I thought about doing a post on the book itself once I had it read, but I’m not sure that we really need any more voices adding to the clatter. And boy has there been a LOT of clatter. So, first, I assume if you want to know what the book really says you will probably actually read it and think for yourself. Second, I don’t presume to think that anyone cares what I personally think about it, although if you would like to hear my thoughts I’d be happy to share. What I find interesting is not the book itself, it’s almost exactly what I expected. Rather what I find interesting is everything that has happened in regard to it’s release. But first, some caveats. I’m trying hard not to defend nor condemn anyone, yet I don’t want to pretend as if I’m a completely neutral spectator, so let me tell you a bit about myself. I first heard Bell at a youth worker’s convention almost a decade ago, and he was unbelievably good. It was a bit as if he had been able to see into some of the questions I was wrestling with and articulate and explore them in a way that was extremely helpful in putting my finger on various tensions, yet he did not give me answers that closed the door on the conversations. He left room for me to explore and take what he had said and go further with it. In seminary I found the podcast from his church and have been listening each week for the last eight or so years. I have a deep exposure and appreciation for him. 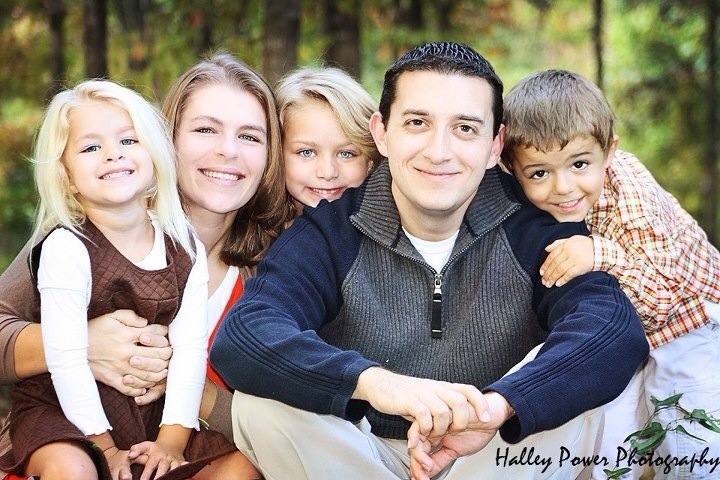 His work has challenged my faith and helped me grow in many, many ways, and for that I am deeply thankful. So, yes I am a fan. So, when I heard about his new book I wanted to find out what it was about. My first exposure was actually all the blogs calling Bell a Universalist and saying that he doesn’t believe in Hell. However there was a slight problem in that the book had not been released and none of the people making these comments had actually read the book. Yet they had already decided what it must say (because evidently there’s no such thing as paradox or nuance). Now, Bell has been known to be controversial. However, I’ve personally never felt like he was trying to create controversy. To be honest, some of the most controversial stuff I’ve seen from him has flown under the radar without anyone really knowing, realizing, or saying anything. And, when controversy has indeed sprung up, I’ve never really understood it. I honestly still don’t get the whole Velvet Elvis controversy regarding the virgin birth, he actually affirms it on the page following the line everyone uses to say that he denies it (for those who haven’t read it, he asks if it would destroy your faith if scientists were to find a way to absolutely invalidate the doctrine of the immaculate conception, he creates a hypothetical scenario to make a point). However, when I saw what this book was about, my first reaction was that he had actually gone out and sought the controversy this time (however, having now read the book I honestly don’t believe that to be the case). But, all kinds of questions and observations began to be raised for me. First and foremost, my personal reactions. My initial reaction was judgment, Rob’s gone off seeking controversy this time. Second was a sense of betrayal, if he says anything too controversial in this book then people who have supported and/or defended him are going to feel betrayed (a bit like those who loved the Harry Potter series and defended it against a certain group then had Rowlings out Dumbledore as homosexual after the series was over). I’m not one to hop into the comments and defend people. For the most part it just makes all of us look bad. I’m not interested in that. He can defend himself if he wants, and if he asks then I’ll join in the conversation, but I’m going to try to do it with as much openness and humility as possible. Then third was a bit of rationality, (ok, what do I actually expect Bell to say?). Now having read the book, I got pretty much exactly what I expected. I haven’t quite figured out what to do with my reactions, but it does give me a bit of insight into myself. I understand that Rob Bell has a large following, and a lot of influence. And I’m sure this is why when he posts a video to promote a book and the video is ambiguous enough to say that Gandhi might not be in Hell there are people who are going to feel threatened. I’ve said long before ever hearing of Rob Bell that I think we will all be surprised at who may be where after death and it isn’t my place to judge and try to figure out who is where (I do this mainly because that seems to be the position Jesus promotes). However, if I were to write the book no one would care, John Piper would not tweet, and life would go on without skipping a beat. So, there seems to be to be a real fear on the part of the critics, and understandably so. Imagine for a moment that you really believe that the only way someone can get to heaven is by praying a prayer at 11:55 on a Sunday morning at a kneeling rail (or in front of a stage at a big youth concert type thing on a Friday/Saturday night). Here is someone with a large following saying that it might not be that simple. Well, that will mean that those people he has influence with might not try to convert people, which will mean that tons of people will not be saved and will burn in conscious physical torment forever. If this is your perspective, than this is a big, scary, dangerous thing Bell is doing. Anger in some ways is justified, trying to get the message out that he’s wrong is necessary. However, what is done with that anger, and the means by which the message is refuted is REALLY important. Because how we go about doing things is just as important as the things we do. I’m not sure that the angry, venomous, malicious, slanderous ways that have been employed are helpful. Actually I think it’s working against them. I honestly think all it’s done is help to get more copies of the book selling off the shelves, make them look bad, and make more people go, yep that’s why I want nothing to do with christianity. And honestly, I don’t blame them one bit. If I were not so compelled by the Jesus portrayed in the scriptures I probably wouldn’t have anything to do with Christianity either. But, it has been really interesting to watch the arguments that have been leveled against him start to leak. With all the media coverage there are several people who have interviewed him based off of the comments made by people who had not read the book. They ask him a question, he answers, then the reporter seems confused because he doesn’t seem to be saying the things of which he’s being criticized. The other reaction I have to this whole thing is, “Who Cares?” I think the only people who care about this whole thing is the big christian subculture. I mean yes, he’s done these interviews on these big shows like Good Morning America, but don’t most of us work? And even if we didn’t would we be watching Good Morning America? I mean unless he’s on Conan I’m not going to catch it. If he’s not on The Daily Show, Letterman, or Oprah is anyone outside the popular church subculture really going to notice? I mean many christians don’t know who he is, is one book suddenly going to propel him to the point that all the non-christians are going to suddenly know who he is and begin believing as he believes? I suppose that could change the trajectory of what the global church believes, but I find it highly unlikely (and I think the latter is happening anyway and he’s just one small part of it). And if all these non christians were to figure out who he is, would they even care? I hope so, but I kind of doubt it. And, if you take a good church history class, you’ll find that he’s not saying or exploring anything that you won’t find has been part of the 2000 year christian conversation. So, while I can understand why people could be upset, I’m just not sure it’s as big of a deal as people are making it out to be. There just seems to be a lot of fear, and I think I remember reading somewhere that perfect love casts out fear. Which brings me to another things about my own personal reactions. I grew up in a fairly conservative theological framework. And when you see the sorts of things that are going on in the world (earthquakes, tsunamis, nuclear meltdowns, rebellion after rebellion after rebellion in the middle east) it really reminds you of some of the apocalyptic saying of Jesus, along with that being the rise of false prophets that would be able to deceive even the elect if that were possible (my paraphrase). Which could really begin to make one question if the dogwatch type critics could be right. Is Bell arising as a false prophet in the end days? However, Jesus also says that we know trees by their fruit, and we’ll know his true followers by the fruit their lives produce. I’m not trying to make a judgment against anyone, but it does force me to wonder who really is the false prophets? Although, maybe at this point no one is. Because, while this whole controversy disturbs me in a million ways (which is why I write about it) what I do like about this whole thing is watching how Bell handles it. Two of the more controversial figures are Brian McLaren and Rob Bell. They get attacked from all kinds of directions with all kinds of slander, and repeatedly they handle it with humility and grace. I haven’t seem them get angry, fight fire with fire, and start slandering back. They seem to know something, understand something that is far beyond me. They seem to have found ways to take it and turn it into opportunities for grace. Opportunities for them to become better as opposed to bitter. On top of this, helping put an end to the most extreme suffering in the world seems to part of their primary focus. And this is what compels me to continue to explore their works as I explore my faith. I hope to become a fraction of the type of person these two people seem to be. Now I don’t know either of them personally, however, if who they seem to be in any way reflects who they truly are, I along with a lot of others have much to learn from them. Now, if for some reason you have been masochistic enough to read these narcissistic ramblings of mine and would like to comment I definitely welcome and appreciate that. However, I do ask that they be open, honest, and respectful otherwise you’ll simply be making us all look bad and wasting your time.